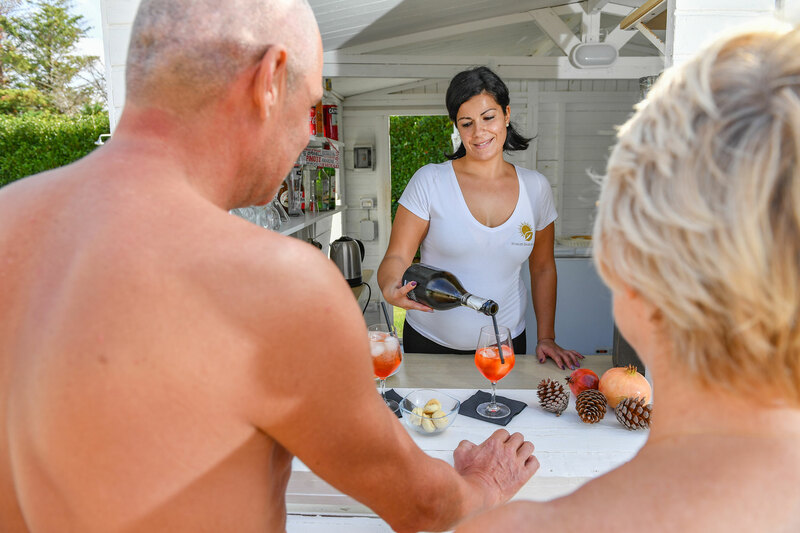 To relax, our resort provides you with a naturist pool accessible at every moment of the day. The naturist pool (15,50 x 9 m) is embellished with terraces, sunny corners, gardens and palms. The pool is heated if necessary for a permanent pleasure. are scheduled from May to October. The depth of the pool is 2,65m that gives the possibility to plunge with your kids safely . However, the pool is adapted to nonskilled people with no possibility to swim into deep water. Feel free to share your meal with your friend near the naturist-pool or under the pergola. A summer kitchen with oven, dish-washer, fridge is available to cook your own meals near the pool. Taste the Italian specialties at the bar taking relax ! That’s unforgettable ! As a tolerated naturist beach, it is located in a bay at the foot of a tower dating from the XIV century, surrounded by a sea of crystal and shallow water. The WWF natural Reserve of Torre Guaceto provides a beautiful marine reserve and nice woods. The coastline over 3,5 kilometres, provides to the visitors fine, white sand beaches, coves and rocks overlooking the sea. a naturist beach has been attended for more than 25 years by the more convinced naturists. 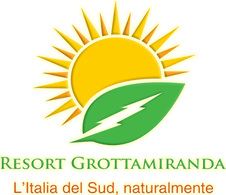 Located at 7 kilometres from the Resort Naturista Grottamiranda, it is set in the WWF natural reserve. Lido Boa Gialla. After 20 minutes’ walk in the countryside, you find quietness and sunny weather.